The Urban Prep Charter School marketing band wagon rolls on. Once again, the school is pulling out all the stops (and, apparently, Governor Quinn) to congratulate itself for having once more gotten “100%” of its students into college. Problem is, Urban Prep once more forgot to mention that it lost about half of its students along the way. This class started out with 165 students freshman year and yet only 85 are graduating. At least this year some in the media are asking the question I first asked two years ago, when Urban Prep started this marketing campaign. In fact, this year’s results at the school are even worse than they were that first year, when 107 graduated in a class that started out with 166 freshmen. 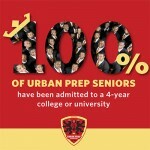 It’s great that Urban Prep works to prepare mostly low-income, mostly African-American young men to go to college. It’s great that, as they report, 83% of the graduates from last year are still in college. But it’s really lousy that they can’t be honest about how many students disappear from their rolls. It’s a fraudulent marketing practice and bad education to mislead people into believing that your school can create miracles where regular schools have failed. It’s part of the terrible problem in public education today, where the lies are standing in the way of making schools work for every student. 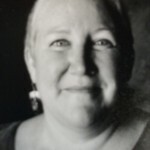 This entry was posted on Friday, March 30th, 2012 at 9:52 am	and is filed under Uncategorized. You can follow any responses to this entry through the RSS 2.0 feed. Both comments and pings are currently closed.